The other day Little Miss asked me to take her picture. We had been cooped up by the cold weather and she wanted to go outside for a "poto-shoop." Despite my disdain for the cold weather, I happily obliged. 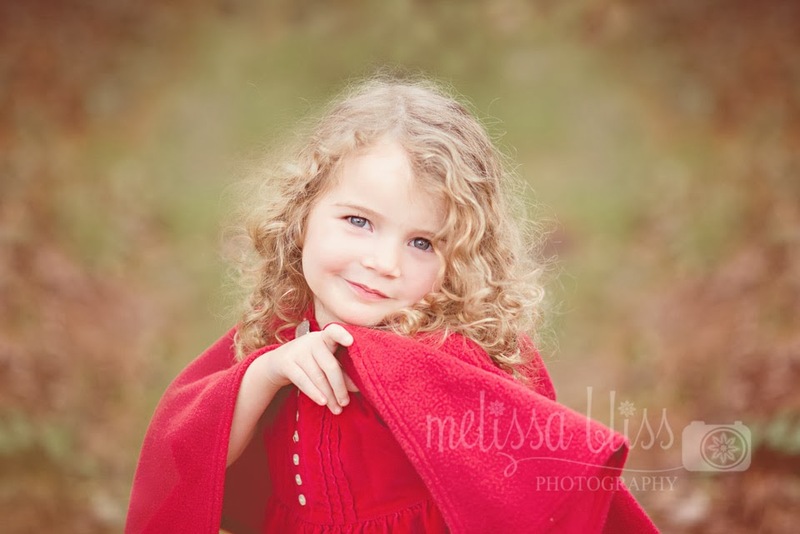 While I didn't set out to create a Little Red Riding Hood themed session, my curly-haired girl reminded me of the fairy tale when she donned her red heart cape. Love it, so sweet! And what a great thing to have your child ASK to have her photo made, right??? She is adorable in her red cape. How nice that she actually asks for her photo to be taken! Mine never do that! She truly is the cutest little girl! Lucky mom, to have your kids willing to participate. The most I get out of mine is five minutes, and that usually takes at least a little bribery. Your girl is beautiful, this is shot a lovely shot of her! So beautiful! Love the lighting in this.